Breezy In Bloom: So Much Excitement!!! As I have mentioned many times before on this blog, I have been blessed with the best in-laws a girl could ever hope for! They truly are the best for so many reasons, only one of which I am writing about today. I am so excited, I can't even stand it. Not only for this, but for the fact that I get to hear JB say many times a day, "I can't wait to go to Greece." or "I can't wait to do (fill in any activity from brushing teeth to drinking beer to seeing historical monuments) in Greece." For the next.seven.months. Joy of joys. Apparently my mother-in-law has wanted to do a big family trip like this for a long time and has been planning for it (Growing up our family vacations consisted of camping and a trip or two to Disneyland. My parents did all the cooler stuff without us). JB knows how much I love a project and told her I would take care of finding something, so over the past month I have been searching and working with my aunt who is a travel agent to find the right trip for us. At first we thought we would just pick a place and go, but then I realized how many different islands there are and we wanted to get the most out of our trip there. Knowing that, I looked into a cruise. Having been on a few cruises before, I know that you have a very minimal amount of time in each port, so that wasn't the best option for us either. Finally, I came across a combo package that combines land stays with a 4 day/3 night cruise. The best of both worlds!! Spend 3-nights in Athens. Visit the ancient Mediterranean metropolis highly recognized for its unique place in history. Spend your time at leisure or take advantage of the many optional excursions. Perhaps a one-day cruise around nearby islands, or take a tour of the city including the Acropolis and the Panathenaikon Stadium, the place of the first modern Olympic Games in 1896. Don’t forget to visit the Plaka (old city) to wander the cobblestone streets, peruse in the shops or dine in one of the many traditional Greek Tavernas. Enjoy three sun-filled days on the island of Mykonos, where the options are endless. Spend a day relaxing on one of its many beaches, stroll the town’s whitewashed streets, sip a drink on the waterfront while enjoying the sunset, take a trip to a nearby island, enjoy the exciting nightlife, savor the authentic Greek cuisine and more. Don’t forget to visit the many chic boutiques or find a table at a taverna on the harbor and enjoy the serenity of Cycladic island life. 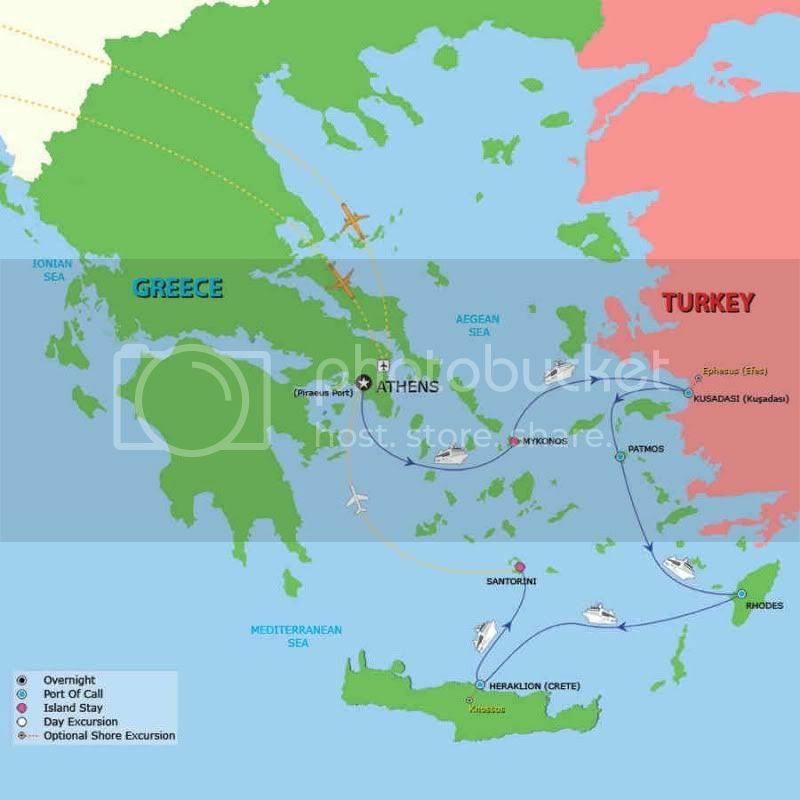 What better way to see the Greek Islands in a short period of time. After your stay in Mykonos, you will sail to Kusadasi, where you can take an excursion to the ancient city of Ephesus. From here you will visit Patmos and take an optional excursion to the Monastery and Cave where John the Divine wrote the Book of Revelations. 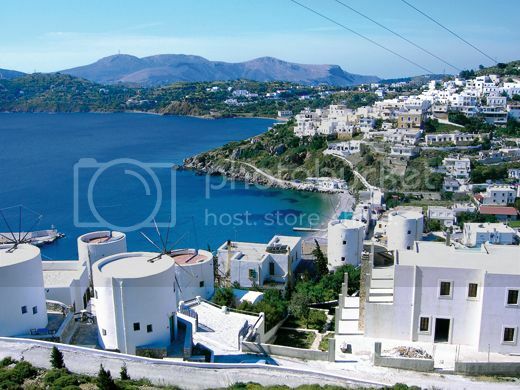 After Patmos you will sail to Rhodes and spend a full day. Perhaps you will take an optional excursion to the city of Rhodes and the rocky Acropolis of Lindos to visit the Temple of Athens. From there you will sail to Heraklion, the capital of Crete. Take an optional excursion to the Palace of King Minos at Knossos, the center of the Minoan civilization. 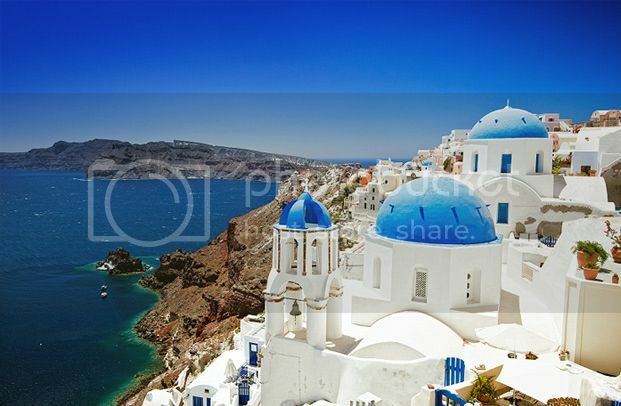 The final port of call for the cruise is Santorini where you will disembark for a 3 night stay. Santorini, the volcano island, is one of the most unforgettable places in the world. Walk the narrow streets of Fira or visit the beautiful village of Oia, perched on the rim of the caldera, offering panoramic views of breathtaking beauty. 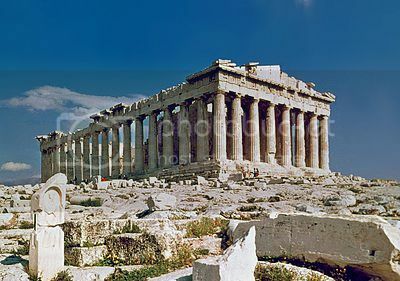 We will leave June 3rd with a day of travel and arrive in Athens on the 4th, returning home on the 16th. If I didn't have a reason to get back on track with my fitness goals, this would do the trick. I will basically be in a bathing suit for 2 weeks. This also falls close enough to our anniversary to count it as an anniversary trip. Double whammy! I wanted to write about this sooner, but didn't want to jinx anything since we hadn't booked yet. We paid our deposit today, so it's pretty much official! I will try not to drive you too insane over the next 7 months with vacation related posts, but I can't promise anything. A semi-cruise seems like a great way to see the Greek islands! Let them do all of the travel preparations for you. Hope you have a wonderful time! OH EM GEE, I am jealous! You guys are going to have a BLAST!!! How exciting! I have always wanted to go there. :) New follower!